When water heaters do rupture or burst, they can pour out gallons of water in very little time. In order to protect yourself, install the early warning FloodRing® system from Advanced Basement Systems. To get a free estimate on installation, call us today at 1-844-320-1542 or click below. We offer our services in Chatham, London, Sarnia, Windsor and nearby in Ontario. Call Advanced Basement Systems today to get a free estimate on all our basement waterproofing products. 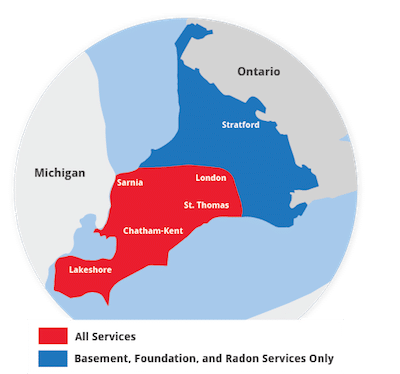 We proudly serve in Chatham, London, Sarnia, Windsor, St Thomas, Stratford, Windsor , Essex, Amherstburg, Strathroy, Leamington and throughout the nearby areas.